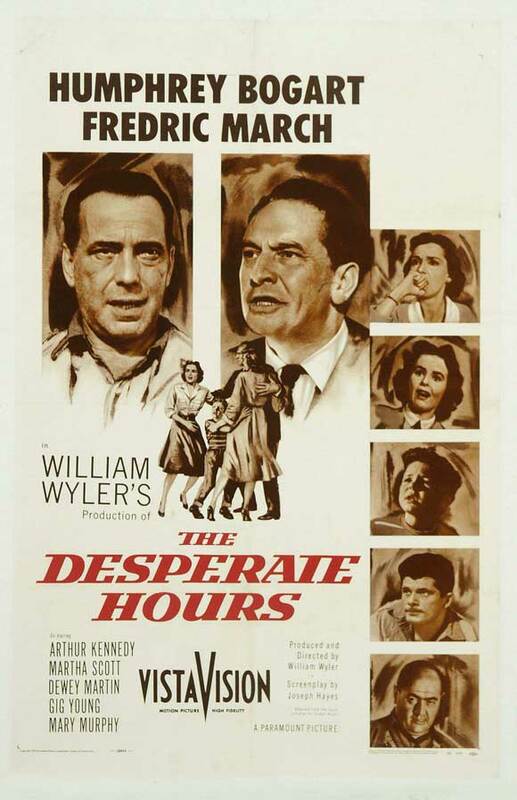 The 1950’s is arguably the finest decade for western films with not only the work of Anthony Mann, but fine work from John Ford (The Searchers, The Horse Soldiers, Rio Grande) , Howard Hawks (Rio Bravo) , Fred Zinnemann (High Noon) and Delmar Daves (3:10 to Yuma, Broken Arrow, Cowboy) among some lesser known works. 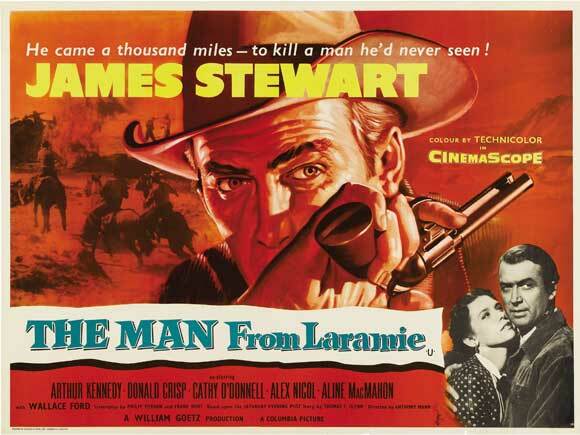 “The Man from Laramie” was the final collaboration between Anthony Mann and James Stewart and the first in Cinemascope culminating a brilliant artistic partnership with one the finest westerns of all time. 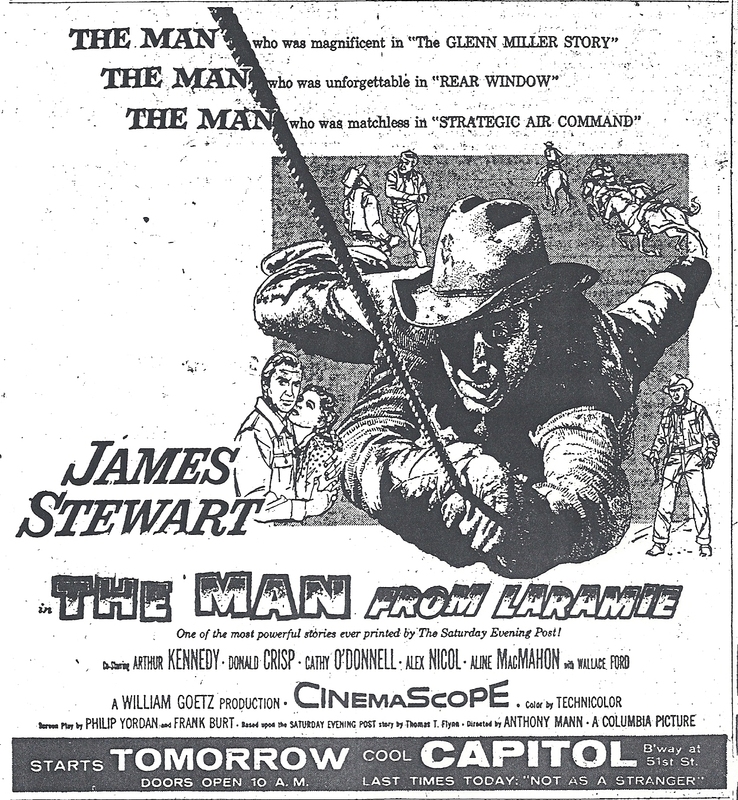 James Stewart gives another mesmeric performance as Will Lockhart, one more in the line of Mann obsessed cowboys on a revenge seeking mission. Here Stewart’s character is looking for the man responsible for his brother’s death, a soldier in the Calvary whose unit was wiped out by repeating rifle toting Apaches purchased from white men. 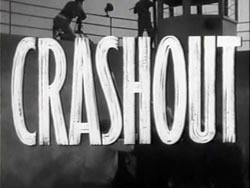 Three men become Lockhart’s prime suspects, land baron Alec Waggoman (Donald Crisp), his hot headed insecure son Dave (Alex Nicol) and the head ranch foreman Vic (Arthur Kennedy). 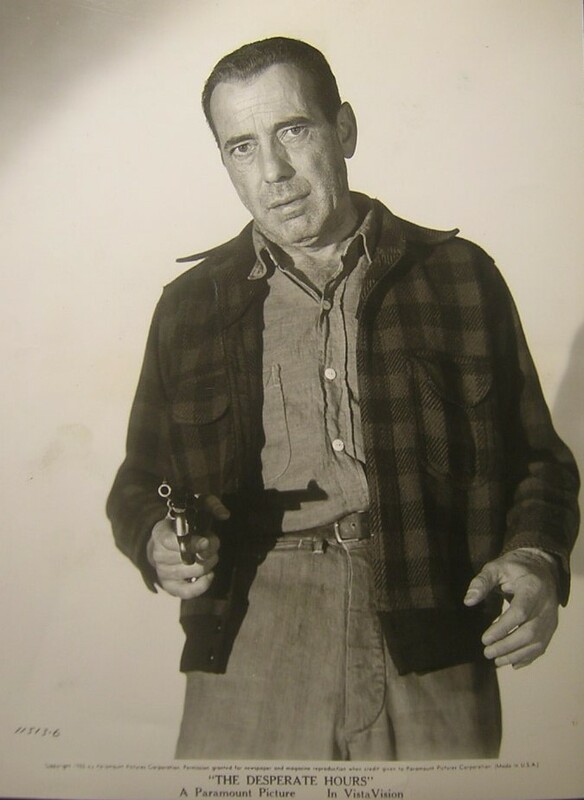 Like past Mann/Stewart characters Will Lockhart is not your typical machismo cowboy, he’s unsure and remains vulnerable at times, similar to lead characters in “Winchester ’73” and “The Naked Spur.” Mann’s other male characters in this film display signs of stunted masculinity. Papa Alec overly protective of his uncontrollable son Dave (who reminds me of the John Cassavetes role in the 1958 film “Saddle the Wind”) struggling to meet the stature of his father, acting more like a spoiled child who cannot get his way than an adult, and then there is Vic the foreman who has been like the son Alec never had. Vic will come to realize that no matter what Alec has promised him he will get when he dies; Dave is his blood and will get everything. A sense of tragedy hangs over Alec who was once the most ruthless and powerful man is now forced to face his own vulnerability, he is going blind and with it goes his strength. 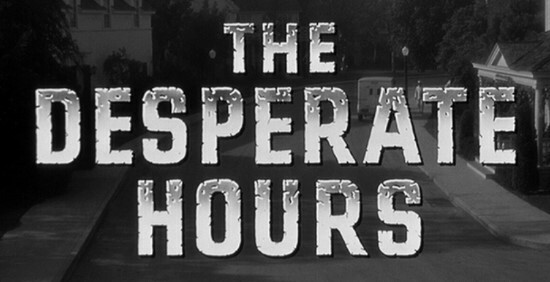 Unlike other Mann westerns I have written about so far this film has two female characters instead of one. 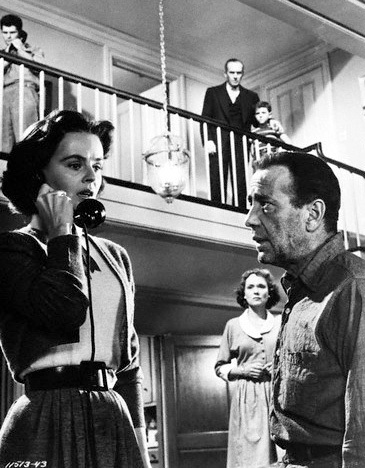 First there is Barbara Waggoman (Cathy O’Donnell), Alec’s niece who runs the General Store. Barbara has no love for her callous Uncle Alec as she watched him cheat his brother, and her now dead father, out of his share of land. Like other Mann heroines she is in love, at least in the beginning, with the “bad” guy in the story, in this case Vic. The other main female, and the more important role, is Kate Canady (Aline McMahon), the only rancher not afraid to stand up to the Waggoman’s greed, though she does shares a secret with Lockhart, that she has been in love with old Alec for years. With his oncoming blindness and sense of helplessness she will finally get her man. 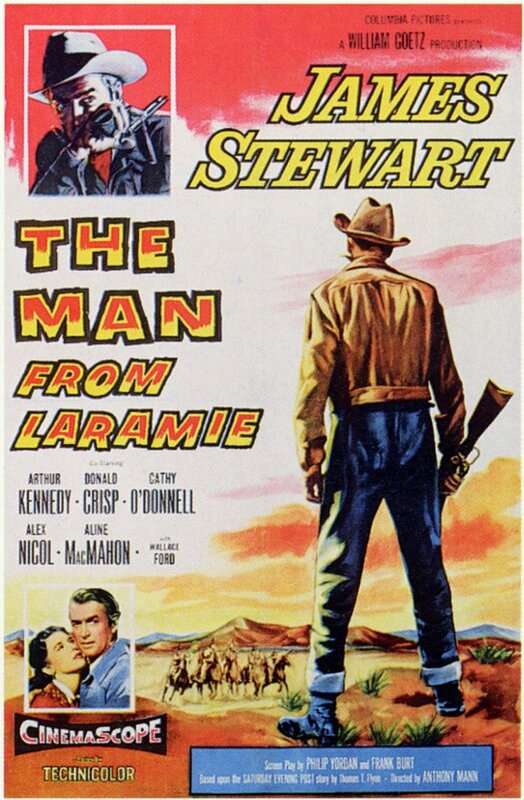 “The Man from Laramie” struck me as one of the more sadistic westerns I have come across, two scenes in particular stand out, first during Lockhart’s first altercation with the Waggoman empire when he and his men are surrounded by Dave and some ranch hands for “stealing” salt from the Waggonman’s flats. Lockhart was told by Barbara Waggoman he could take the salt claiming nobody cared. Lockhart discovers otherwise when he quickly finds a rope around his waist and is dragged across the flats. Dave then orders Lockhart’s wagons burned and his mules shot. The second scene is even more unsettling. After being wounded with a gunshot in his hand in an earlier shootout with Lockhart, Dave gets his revenge when his boys capture Will. They hold Lockhart down and with Mann’s camera up close in Lockhart’s face Dave puts a bullet in Lockhart’s shooting hand. While you do not see the gun shot on screen, the scene is so powerful you wince more than once feeling the pain. 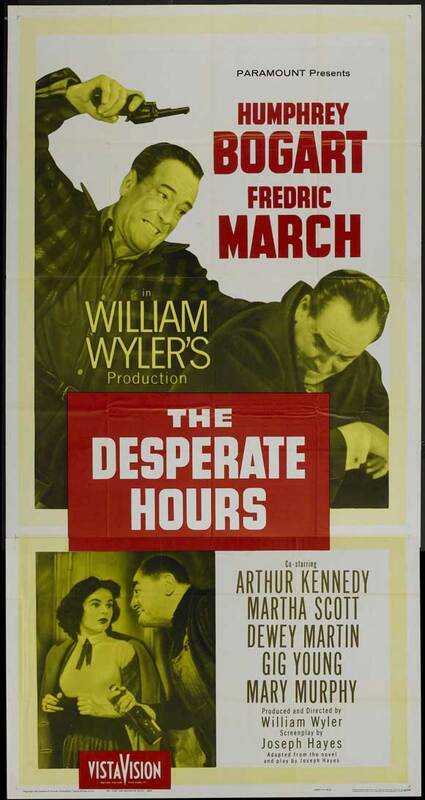 Another interesting aspect of this film are the dreams land Baron Alec Waggoman suffers. He wants Lockhart out of town and is even willing to pay to get him out. 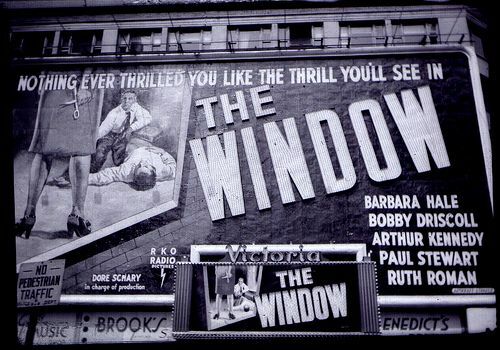 We find out the this is due to a fear from a continuous dream Alec has experienced two or three times a week for a long time where a tall, lean stranger is going to come to town and kill his boy. The old man wants Lockhart out. In the end the old man’s dream is deadly to his son as anticipated but only partially correct. 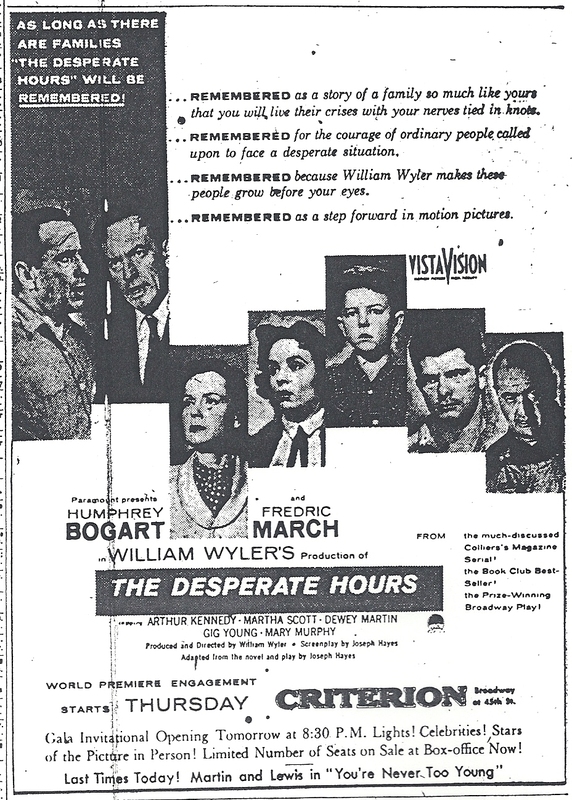 The film is based on a short story by Thomas T. Flynn that originally appeared in the Saturday Evening Post with a screenplay by Philip Yordan and Frank Burt. One problem I had with the film is the lack of motive given to the son Dave for selling rifles to the Indians. It does not do him or his family any good, in fact it is probably was a dangerous move since the Apaches it is assumed would use the weapons against them. One other minor thing is that the film’s title is a misnomer. 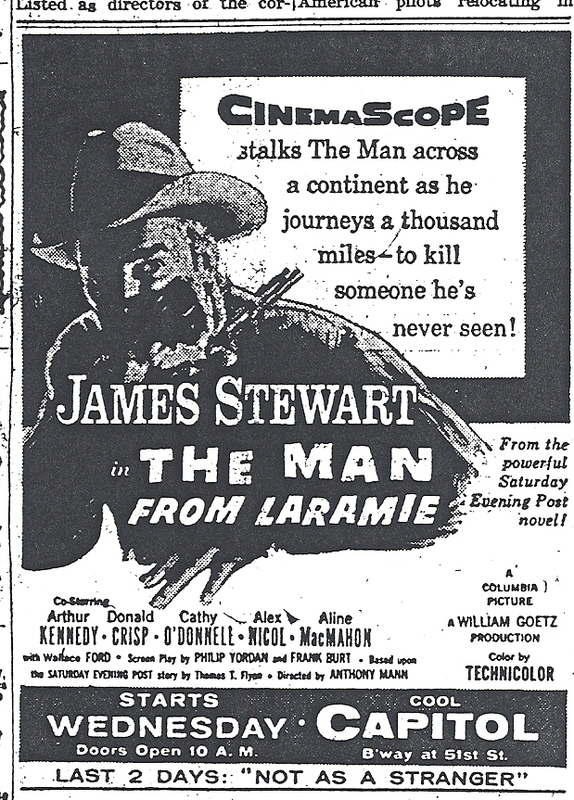 While he came from Laramie with goods that he initially was delivering in the wagons, Lockhart states later in a conversation with Barbara Waggoman that he has no home and is basically a drifter.